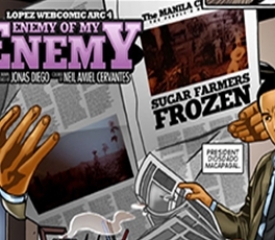 After months of fighting and receiving attacks from the Chronicle, President Ferdinand Marcos turned to business magnate Eugenio “Eñing” Lopez Sr. to ask for a parley. The crisis between these two forces went on an interesting turn, as they both agreed on a ceasefire; one in hopes of stabilizing the economy and his business, the other for saving his reputation from further humiliation. With the atmosphere at ease, we can't help but feel that maybe things won’t turn out for the worst. Will this finally be the end of the feud or is it just the eye of a storm? For how long will this fragile peace hold? 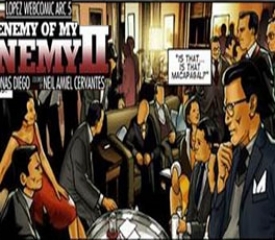 Witness the scenes unfold as we bring our story to a close in the last page of Enemy of My Enemy II—the spectacular retelling of the story behind the Martial Law era. 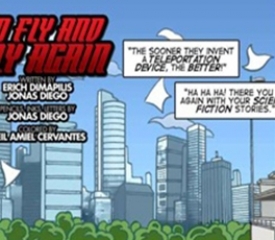 Click here to review the rest of the webcomic series. 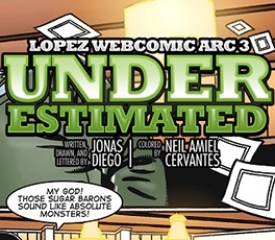 The Lopez webcomic series feature the watershed moments when Lopez Group founder Eugenio “Eñing” H. Lopez Sr. demonstrated the values that defined his character and paved the way for what is to become the Lopez Group today.